Discontinued leather sectional with a great look. Power recliners on each end with adjustable power headrest for comfort while watching tv. 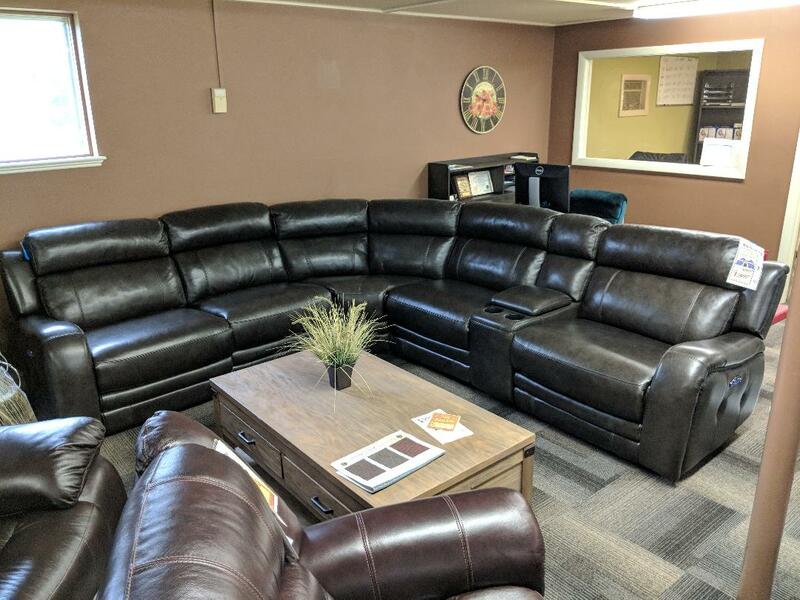 This sectional is very comfy and allows you to really adjust your seat to the right spot. The dark gray, thick, leather (real) is nice and durable and the added nail head trim adds for a great look. One set available. Must purchase all pieces.